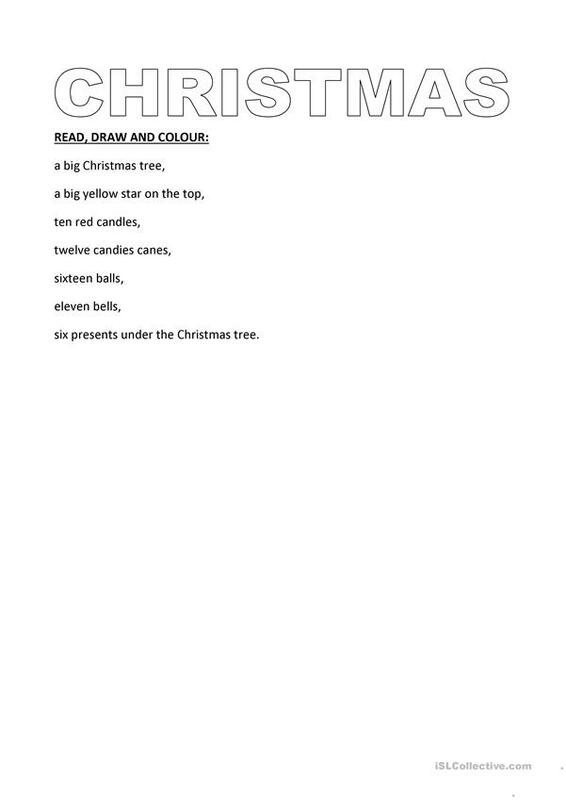 Follow the instructions and draw the Christmas tree. The above downloadable printable is intended for elementary school students at Elementary (A1) level. It is valuable for practising Numbers: Cardinal numbers in English, and was designed for improving your learners' Reading skills. It is focused on the theme of Christmas.